In air diffuser (giffard) for pump Juwel. 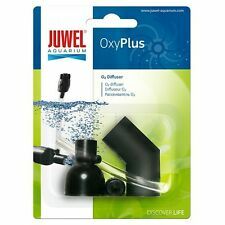 Adaptable to any pump juwel. Join us on our website. Air Diffuser for fitting to the powerhead. Pump adaptor for older style aquariums (not bioflow). For More Information. Nel diffusore d'aria (giffard) per pompa Juwel. Adattabile a qualsiasi pompa juwel. Pompa sommersa ricambio originale acquari rio vision JUWEL ECCOFLOW. Difusor de aire (giffard) para bomba de Juwel. Adaptable a cualquier bomba juwel. Únase a nosotros en nuestra página web. In Luft-Diffusor (Giffard) für Pumpe Juwel. Anpassbar an jede Pumpe Juwel.